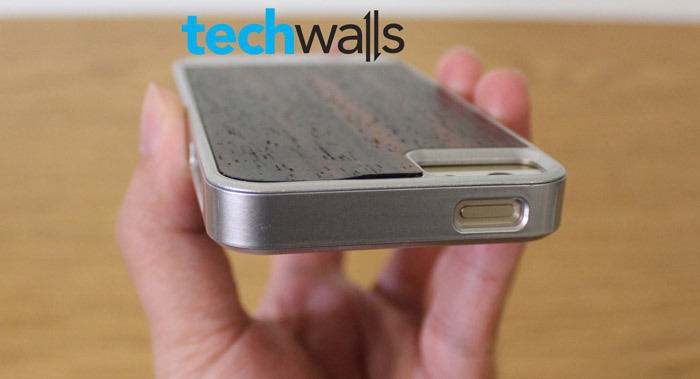 This is our first post in a series of iPhone 5S case reviews. You own the expensive iPhone and absolutely you don’t want it to get any scratch or damage. We will help you find out the most suitable case. The first case I’m going to review is Woods Case (Rosewood) from Case-Mate. 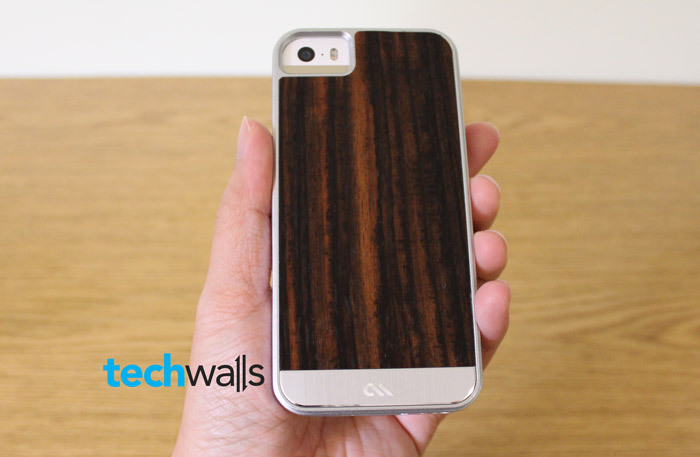 Case-Mate is a very well-known brand for producing cases for all kinds of phones, so I expected this is a good one, especially when they advertised that this is the combination of exotic wood and brushed aluminum accents. Let’s see if this is really a premium case like advertised. Check a look at our unboxing video and some images of the Woods Case. What is great about this case is its sturdy design. Once you applied the case to your iPhone, it will be very hard to separate the two pieces. 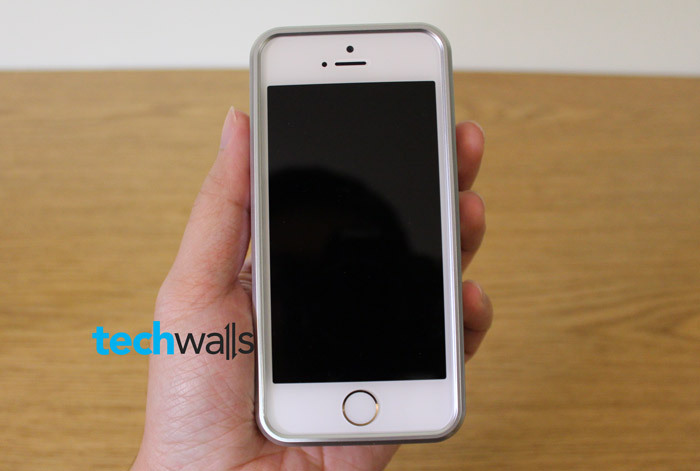 The case is also very thick and all edges are raised above the screen, therefore, I believe it will protect your iPhone 5S very well. I really loved the wood panel at first sight, it is so gorgeous. The case even has a interior patterned inlay for better protection on the back. Besides, it has cutouts to access to all ports and features of your phone, so it is fully usable. Unfortunately, the case has some serious problems that you could not accept. Firstly, I’m pretty sure the case is not made of wood and aluminum. The materials look so cheap and I think it is plastic, even the wood panel on the back. Another issue is that the case is too thick. I agree that it could deliver better protection, but also inconvenience at the same time. It is very difficult to reach the Wake/Sleep button or volume rocker on the side. I have to use my nail most of the time. The case is not a premium product in my review, and it is selling for a premium price at $46 on MobileFun. I won’t recommend the Case-Mate Woods Case as I was so disappointed with its material and build quality. Not a premium product like advertised.